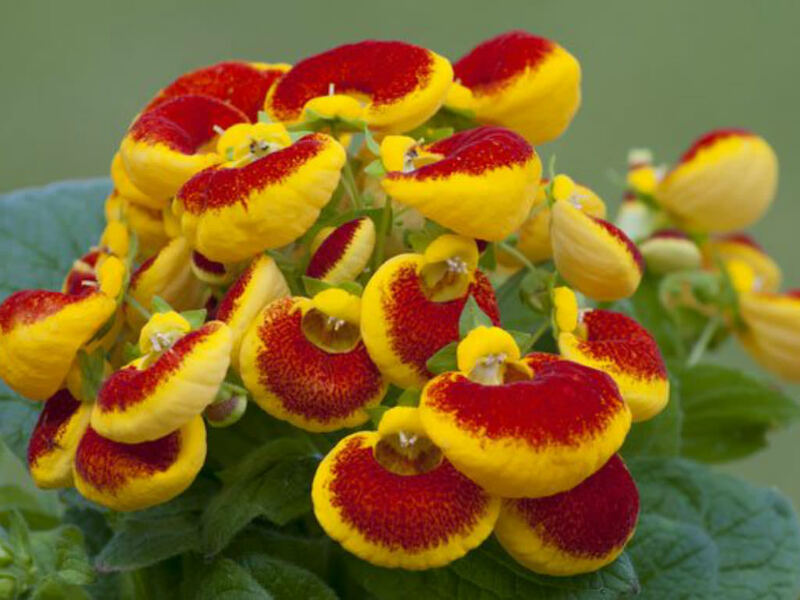 Calceolaria x herbeohybrida is a group of hybrids, usually up to 18 inches (45 cm), sometimes smaller. 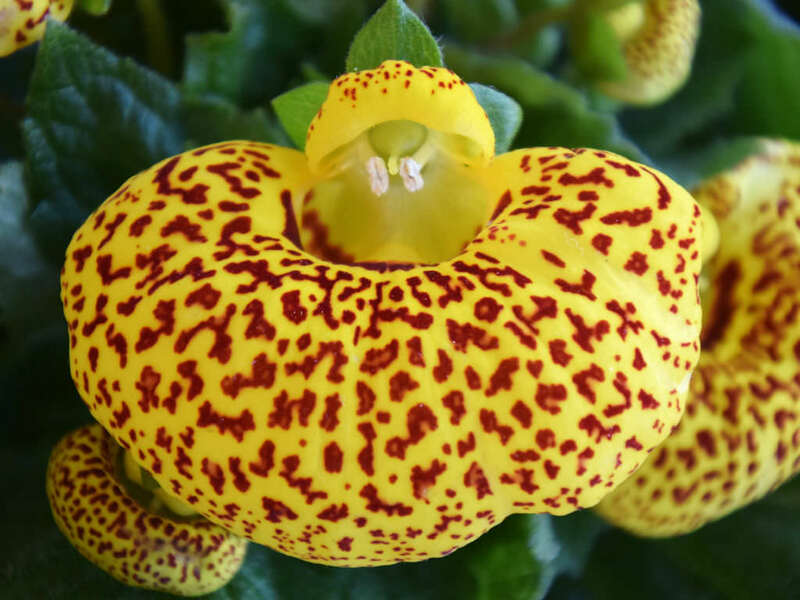 The leaves are large, up to 8 inches (20 cm) across, roughly heart-shaped and grouped around the base of a single central stem. 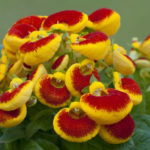 Above the leaves rise several branching stalks up to 2 feet (60 cm) tall, each carrying loose clusters of pouch or slipper-shaped flowers, which vary in size, from 0.4 inch (1 cm) to 2 inches (5 cm) across and in color from yellow to red. 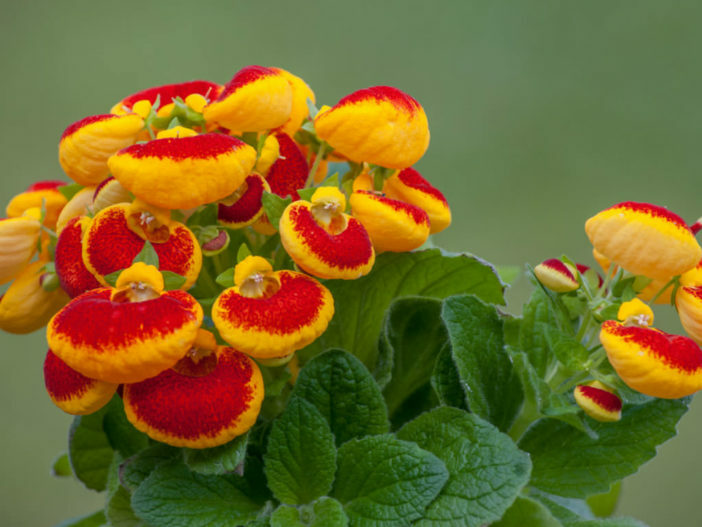 Most of the flowers are spotted or blotched with contrasting color. 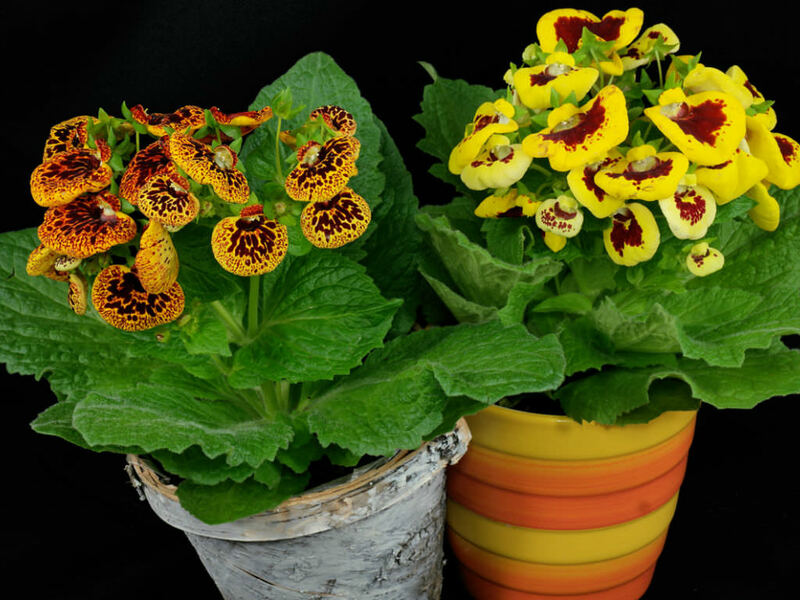 USDA hardiness zone 10a to 11b: from 40 °F (+4.4 °C) to 50 °F (+10 °C). 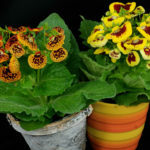 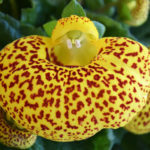 It is a cultivar group of hybrids derived from 3 species from Chile and Argentina, Calceolaria crenatiflora, Calceolaria corymbosa and Calceolaria cana.